Cocktails have an intrinsic problem. Unless they are well made/well balanced, they are too sweet for my taste. Korea has soju; Japan has sake; America has bourbon; Mexico has tequila and mezcal; Germany has schnapps; Scandinavia has aquavit; France has wine; Greece has ouzo; Britain has beer; Portugal has port; Spain has sherry; Turkey has raki; Brazil has cachaça; Peru has pisco; Scotland has Scotch; and India has…what? Chai? Horlicks? At a time when national spirit is high, shouldn’t we consider a signature spirit as well? The strongest contender in this area is feni, says Vikram Achanta, co-founder of Tulleeho.com, a beverage education and consultant company. “But feni is still to rise above a state-level curiosity and shed its tag of being a country liquor,” he says. 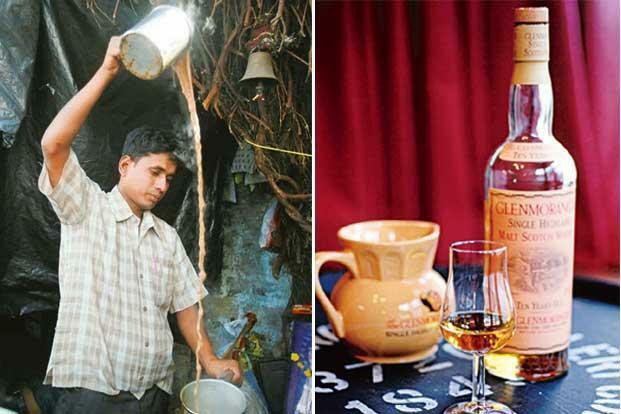 If Goa, the land of the good life, has not been able to market its tipple, where do mahua, chandrahaas and handiya, the fermented spirit of Jharkhand, stand? And really, it is these local tribal distillations that ought to be our starting point. In the luxury world, three things are revered above all: revenue, brand identity, and provenance. Indian tribes have been distilling spirits for as long as the Scots have—look where they are with their single malts and look where we are with our local liquors, the names of which even we Indians cannot pronounce. All is not lost. Things can turn around faster than you can down a gin and tonic which, by the way, was invented in India. Take tequila, for instance. Fifty years ago, it was a nonsense drink: pungent, unrefined, highly alcoholic. The Mexican government, in its wisdom, decided to throw its weight behind marketing tequila. Enter lime and salt; and a hop, skip and jump to frozen margaritas and tequila shots. Before you knew it, tequila had become a party drink. “Now, tequila has taken the luxury route with 100% agave and boutique producers,” says Yangdup Lama, co-founder of Cocktails & Dreams, a bar and beverage consultancy company in Gurgaon. Local liqueurs are something that Man Singh, owner of Jaipur’s Narain Niwas Palace and Castle Kanota, knows something about. His family recipe for chandrahaas contains 76 ingredients, including saffron, rose and anise. Rajasthani liqueurs contain herbs, dry fruits and flowers. They taste good and are perfect after a meaty meal of lal maas or safed maas. They haven’t crossed borders though and remain with the home or palace, made in small batches with recipes zealously guarded. Italy does the same thing with limoncello, except that they market the heck out of it. The fact that a particular limoncello is made using a family recipe is used as a virtue. With the variety of tropical fruits that we have, with our penchant for mixing spices and our heritage for distilling drinks, you would think that at least one of these liqueurs would have made it big. Part of the reason is that we—country and government—are deeply ambivalent about promoting alcohol. On the one hand, prohibition does not work. Yet, on the other, should we actively encourage drinking? One place to begin would be the North-East and Himalayan states where tribals distil spirits anyway. Just as non-governmental organizations and the government promote small-scale, village-based industries and crafts, says Lama, why not encourage handcrafted spirits in a controlled and refined fashion? Instead, we import and pay premium prices for beer, wine and spirits that are produced in small batches in Europe. The only area where local players have jumped in is wine. Here too, we are planting imported species of grapevines, be they Sangiovese, Chardonnay or Cabernet Sauvignon. Our wine industry is basically a copycat business where consultants and grapevines are brought in from abroad. Still, it begs the question: Why isn’t there a KRSMA, Fratelli or Sula type player in the spirits space? Amrut Distilleries has done great work with its Amrut brand of single malt and there are now me-too players like Paul John and, to some extent, Tilaknagar Distilleries. What we lack are the mavericks and lone rangers who chase a spirit just because; who distil or die as it were. Desmond Nazareth is a candidate. His 100% agave and 51% margarita mixes are produced in Andhra Pradesh and bottled in Goa under the brand name Desmondji. It is a start even if isn’t original or, for that matter, Indian. Offering greater hope is Desmondji’s orange liqueur that uses Indian sugar cane and Nagpur oranges. None of these—Indian spirits or liqueurs—are marketing to the luxury market that is waiting to be tapped. Indians have travelled everywhere and tried out artisanal spirits, beers and wines. This consumer confidence can translate to sales of locally distilled quality spirits if there is a player with imagination and staying power. In these compressed time cycles, what took Scotland several centuries and Mexico 50 years to achieve with their national spirits can happen in India in a mere 10 years—witness the burgeoning Indian wine industry. Only a Rajput riding across the horizon with his chandrahaas, or a Himalayan distiller carrying his home-made spirit in a flask, can change this scenario. I am hopeful. I think ‘Taadi’ or Palm Wine/Toddy is more common in the Indian sub-continent, in a sense that it can be categorised as a national spirit! However, like the Mexican government, India may need to develop it into a luxury product to make it a national standard thus a more global appeal.